There seems to be something about the breaststroke that brings out the best in British swimmers. David Wilkie, Duncan Goodhew and Adrian Moorhouse have all won Olympic gold for Britain in breaststroke events, a run that started with Wilkie in 1976. Wilkie was only 16 when he won his first major medal, a bronze for Scotland in the 200 metres breaststroke at the Edinburgh Commonwealth Games. He went one better two years later, taking 200m breaststroke silver behind American John Hencken at the Munich Olympics and, as a result, landed a sports scholarship at the University of Miami. Hencken's 200m breaststroke world record fell to Wilkie at the 1973 World Championships in Belgrade, as the Scotsman won in two minutes 19.28 seconds - 1.24secs inside Hencken's best. Wilkie's gold rush continued the following year as he won the 200m medley and 200m breaststroke at the 1974 Commonwealth Games in Christchurch and the same two events at the European Championships in Vienna. At the 1975 World Championships in Cali, Colombia, Wilkie retained his 200m world crown and added the 100m title. He had picked up an American accent by studying and training in Florida, but also a winning habit. Hencken lowered his own 100m breaststroke world record to 1:03.11 at the Montreal Olympics in 1976 to edge Wilkie into second place, but Wilkie was in a class of his own in the 200m breaststroke. He was the only non-American man to win a swimming gold in Montreal - with the USA first in the other 12 events - and did so by shattering Hencken's world record by 3.10secs in 2:15.11. Wilkie, born in Sri Lanka to Scottish parents, became the first British man in 68 years to win a Olympic swimming gold and then, at the age of 22, he retired. Goodhew trailed in the wake of Hencken and Wilkie in that 100m breaststroke final in Montreal, but his golden moment would come four years later in Moscow. Most of the capitalist world boycotted the 1980 Games in protest at the Soviet invasion of Afghanistan, and it almost cost Goodhew his chance. British Prime Minister Margaret Thatcher urged the British Olympic Association (BOA) to join the boycott, but the BOA defied Thatcher and sent a team. Goodhew, whose preparation for the Games had been hampered by a shoulder injury, trailed in the early stages of the 100m breaststroke final but fought back in the middle of the race and surged ahead in the last 25m to win gold ahead of Soviet Arsen Miskarov and Australian Peter Evans. Britain was one of 16 nations competing under the Olympic banner rather than a national flag, so Goodhew's medal ceremony was accompanied by the Olympic anthem as an Olympic flag was raised instead of the Union Jack. The Thatcher government broke tradition by failing to mark Goodhew's achievement with a congratulatory telegram, and, instead of staying on until the end of the Games as was customary, all British athletes were send home after competing. Before that Goodhew, a dyslexic who lost his hair at the age of 10, had picked up another medal - bronze in the 4 x 100m medley relay. Wilkie's triumph at the Montreal Games was the inspiration for Moorhouse to become an Olympic champion, but he had to overcome bitter disappointment to achieve his dream. Moorhouse travelled to the 1984 Olympics having won gold in both the 100m breaststroke at the 1982 Commonwealth Games in Brisbane and the 200m breaststroke at the 1983 European Championships in Rome. He failed to deliver on the biggest stage of all, however, and returned from Los Angeles without a medal. 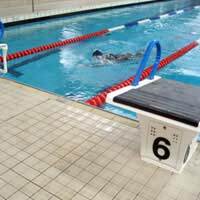 Sandwiched between three consecutive European 100m breaststroke titles in 1985, 1987 and 1989 and two further Commonwealth titles - the 200m breaststroke in 1986 and 100m breaststroke in 1990 - was another huge letdown. Moorhouse won the 100m breaststroke at the 1986 World Championships in Madrid, but was disqualified for making an illegal turn. All the disappointments were dispelled at the 1988 Olympics in Seoul, however, as Moorhouse won the 100m breaststroke gold by a fingertip. He was only sixth at the turn, but powered through the final 50m to win in 1:02.04, one-hundredth of a second ahead of Hungary's Károly Güttler, with Soviet Dmitri Volkov third in 1:02.20. Moorhouse swam 1:01.49 in 1989 to break the five-year-old 100m breaststroke world record of American Steve Lundquist, but was a fading force at the Barcelona Olympics in 1992 and failed to win a medal.